Three years ago, my husband and I took the Emerald Lakes Boy Scout troop to summer camp in New York. One of the remarkable young men that came with us was Christopher Joseph. On March 17th, 2013, Chris was awarded Boy Scout’s highest rank – Eagle Scout. In order to achieve this, he had to earn 21 merit badges, including first aid, citizenship in the community, world, and nation, communications, personal fitness and emergency preparedness. He also had to demonstrate leadership in his troop and lead a service project for his community. The Eagle ceremony is deserved recognition for years of hard work and dedication. With all the choices and paths that young men can choose to take, for good and for bad, scouting is one that not only helps them achieve their goals, it also helps the communities in which they live. For his Eagle service project, Chris planned, organized and built an outdoor concession stand for the sports fields at Monsignor McHugh School. He held fundraisers to pay for the supplies, and led the project from start to finish. At a time when so many children are choosing video games and television for their free time, Chris chose to work hundreds of hours to improve his skills and help his community. he was apologizing to us and his fellow campers for what he thought was a terrible inconvenience to us. What he really gave to all of us that year was a wonderful example of how to roll with the punches and remain cheerful in spite of adversity. Even though he left camp a day early, he still managed to complete all of his merit badge requirements and earn all the achievements he had set as his goal for that summer. 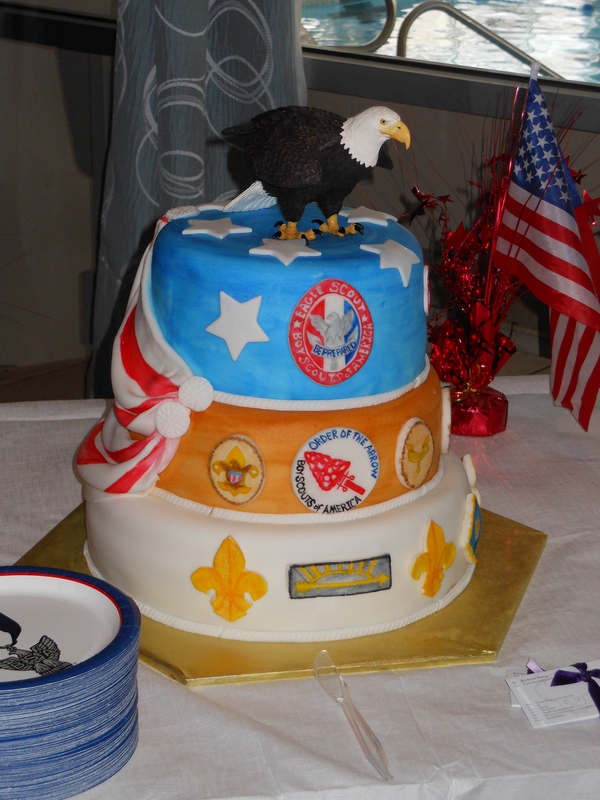 Only about one in four boys in America will ever join the scouting program, and of those, only about 5% ever make it all the way to the rank of Eagle. 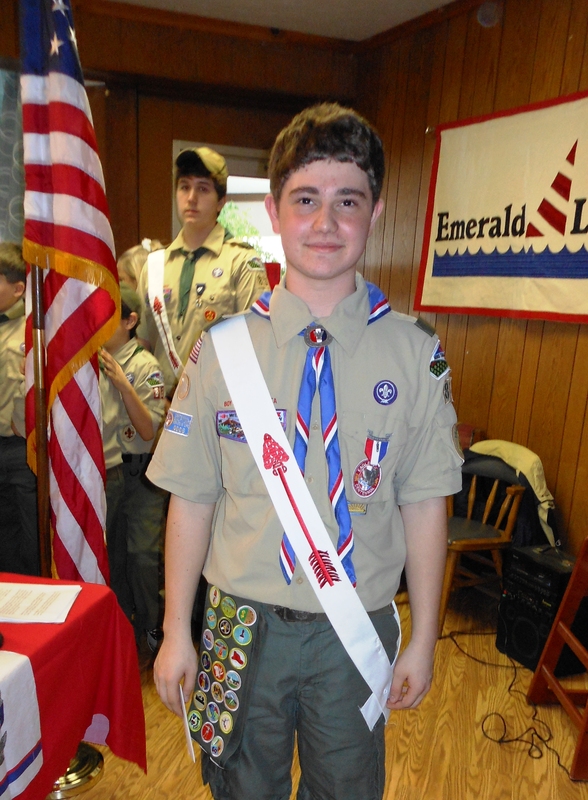 The goals and ideals taught in the scouting program continue to inspire boys for a lifetime, and we are very lucky to count Christopher Joseph as one of our own. Please join me in congratulating this remarkable young man on his accomplishment. Posted on March 23, 2013, in ELA Events, In the News and tagged Boy Scout, Boy Scouts of America, Cinderella, Eagle, Eagle Scout, Emerald Lakes, Emerald Lakes Association, HOA, Homeowner's Association, Merit Badge, New York, Scout. Bookmark the permalink. 1 Comment. Way to go, Chris. Your community, your neighbors, are proud of you.